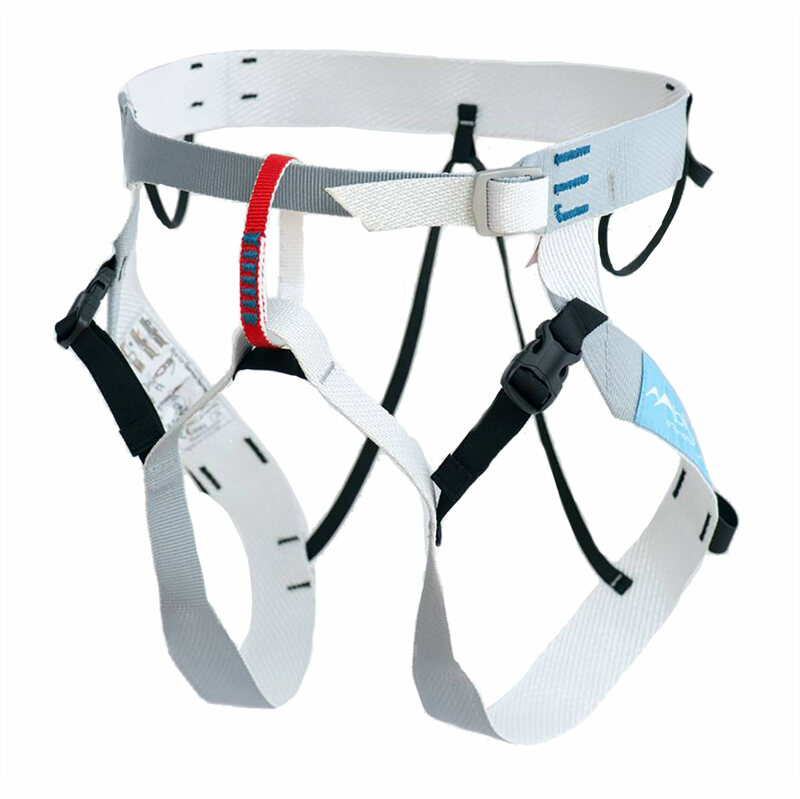 The Blue Ice Choucas is a lightweight alpine climbing harness for ski mountaineering, ice climbing and alpinism. Made form super-strong Dyneema with a variable-width waistbelt, the Blue Ice Choucas Harness is comfortable, durable and hardwearing, all while weighing only 180g. Quick-release buckles and adjustable leg loops make it easy to put on over your ski boots, crampons and multiple layers, while all the buckles can be easily adjusted with gloves on for no-fuss tweaks. Two ice-screw slots mean you can keep your screws close to hand without ripping your pants, while two slots for ice screw holders mean you can rack up as much gear as your need. A lightweight choice for mountaineers who want to go hard and need the most durable equipment.